Here Carol Ann Duffy uses her full poetic range: there are drinking songs, love poems, poems of political anger; there are elegies, too, for beloved friends, and—most movingly—the poet's own mother. Woven and weaving through the book is its presiding spirit: the bee. 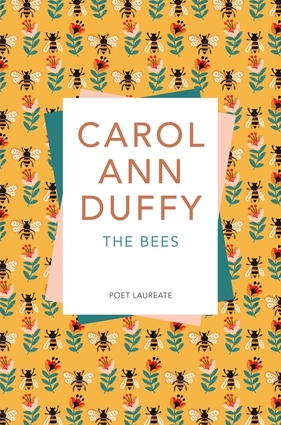 Sometimes the bee is Duffy's subject, sometimes it strays into the poem, or hovers at its edge. In the end, Duffy's point is clear: the bee symbolizes what we have left of grace in the world, and what is most precious and necessary for us to protect. The Bees, at once intimate and public, is a work of great power from one of our most cherished poets. Carol Ann Duffy has been Britain's Poet Laureate since 2009. Her collections include The World's Wife, Rapture, and The Bees, which won the Costa Poetry Award. She has also received the Whitbread, Forward and T. S. Eliot Prizes, and the Lannan and E. M. Forster Prize in the U.S.